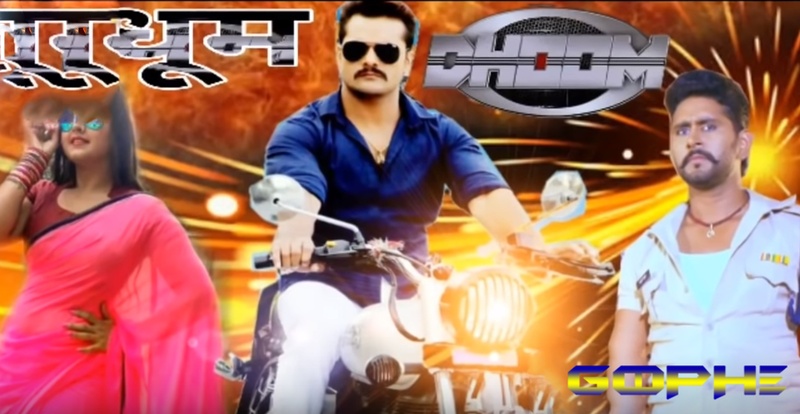 Raja Jani Khesari Lal Yadav Bhojpuri Movie Trailer is released on social media. Khesari lal yadav is busy shooting for his upcoming movie “Raja Jani” and his film trailer has just release recently. The trailer is getting quite a good rapport in the fancy. In the trailer, you will see full glimpse of the film. Action, romance and dance drama will be looks in the film. The special feature of the film is that it is also a family film, in which Khesari lal yadav is looking in a very strong incarnation. In this Bhojpuri actress Preeti Biswas is looks in the main character. The beginning of the trailer touched the hearts of the people Initially, Kesari’s entry was’ No, I do not get any peace, nor get any comfort. Love is your first eye Salman. That’s what the audience liked. At the same time the songs of the film are quite different. People will like the song “Aa Raja Jani Hamara Chal Yawani” Video Song. The trailer released on YouTube has seen 10 lakhs people so far. Khesari looks quite fit in the film. The trailer of more than 4-minute times narrates the story of the film. Apart from Khesari Lal and Preeti, Deboshmi, Anand Mohan, Gopal Roy, Sanjay Mahanand, Neelam and Dev Singh are also star cast in this movie.